Thàinig dearbhadh bho Rùnaire Slàinte na h-Alba Shona Robison gu faigh Bòrd Slàinte na Gàidhealtachd £27.5m a bharrachd an ath-bhliadhn' - 2016-17. Seo àrdachadh de 5% bho ìre a' bhuidseit ann an 2015-16. Tha £15.3m den t-suim a tha NHS na Gàidhealtachd a' faighinn airson cùram sòisealta - tha seo mar phàirt den chuibhreann a chaidh a chuir ma seach le mar a tha roinn na slàinte agus cùram sòisealta gan toirt còmhla. Chaidh fhoillseachadh gu faigh NHS nan Eilean Siar £2.9m a bharrachd airson an ath bhliadhn' ionmhais. Tha sin suas 4.6% air a' bhuidseat ann an 2015-16. Tha am bòrd a' faighinn £66.6m uile gu lèir bhon riaghaltas. 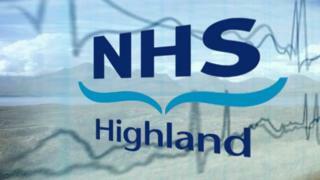 Chaidh £1.6m den t-suim a tha NHS nan Eilean Siar a' faighinn a chuir ma seach airson cùram sòisealta. Tòisichidh compàirteachasan slàinte is cùram sòisealta air feadh na h-Alba bhon Ghiblean. Thuirt Rùnaire na Slàinte, Shona Robison gun cuidicheadh am maoineachadh gus daoine a chumail nan dachaighean fhèin agus gum biodh sin a' ciallachadh nach fheum uidhir a dhaoine cùram ospadail.